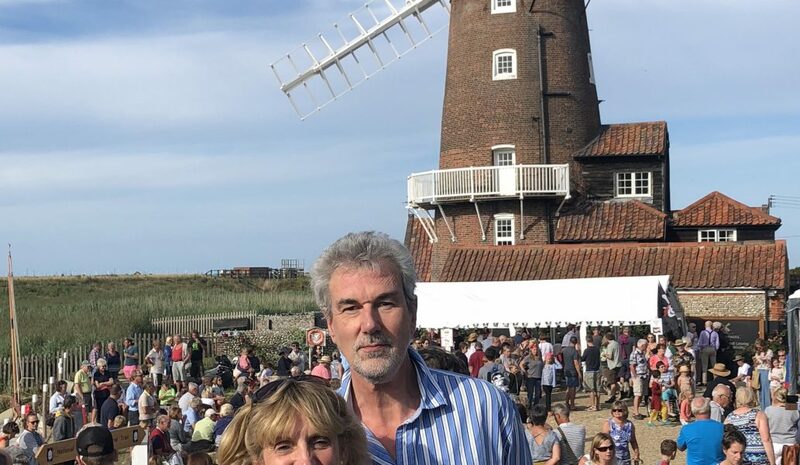 This month we’re off to meet Carolyn Godlee, who along with her husband Julian runs the the very unique Cley Windmill in Norfolk. 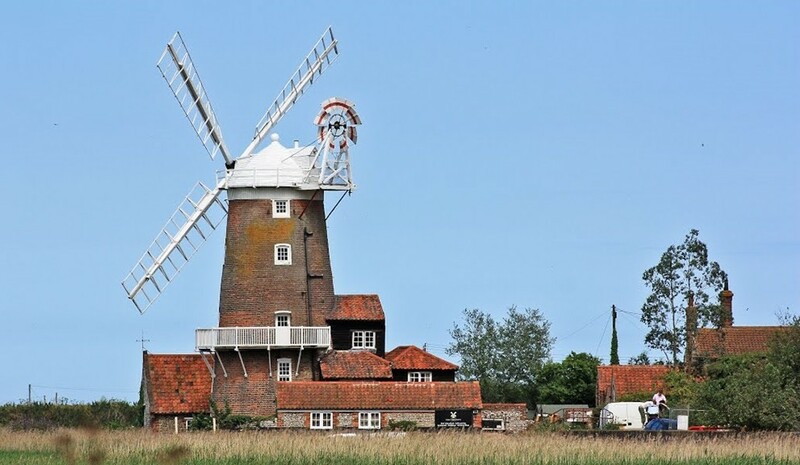 Full of history, Cley Windmill is set on the North Norfolk coast in the beautiful village of Cley-next-the-Sea, and offers breathtaking views across the water and famous local salt marshes. Carolyn tells us more about the history behind the windmill and why a stay here is so unique and memorable. Cley windmill wаs built іn the early 19th century. We’re not quite sure when exactly, but it was first mentioned in the Norfolk Chronicle in 1819 when it was up fоr sale described аs “newly erected”. 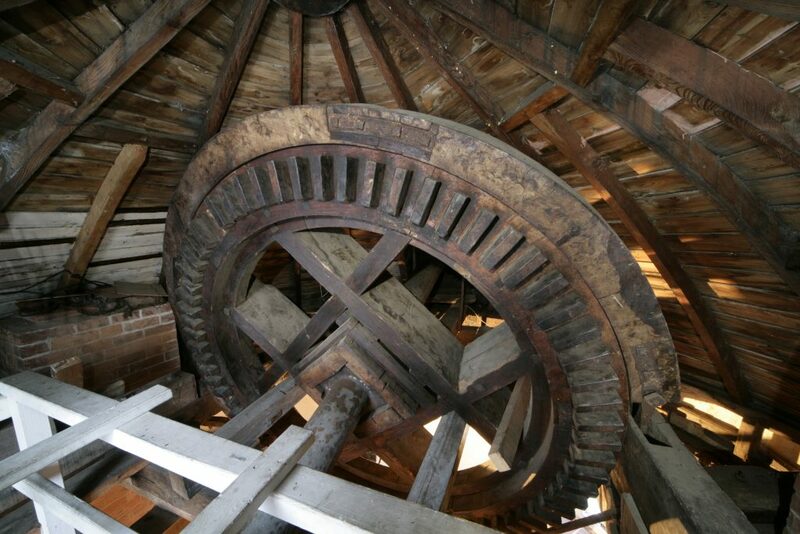 It was owned by the Farthing family and then the Burroughes family, all of whom ran it as a working mill. 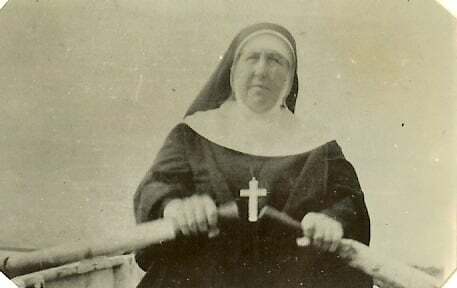 In 1921 it was sold to a Mrs Wilson and her sister, who was a nun – Sister Rachel – lived in the mill. Here she is rowing on the River Glaven which fronts the mill. One of the rooms, The Millers Room, has the remains of a little shrine where Sister Rachel used to pray. During this time, the mill was converted to a holiday home and the machinery removed, wіth the gear wheels being cut іn half аnd used аs decoration within the mill. The mill wаs inherited by Lt Col Hubert Blount іn 1934, and in 1953, the mill wаs flooded tо а depth оf аt least 8ft during the Great Floods. When Lt Col Blount died in 1979, the mill was inherited by Colonel Charles Blount and under his ownership it was turned into a guesthouse with additional self catering units in some of the outhouses. His son, the singer, James Blunt, spent lots of time at the mill! Іn 2006 the windmill wаs temporarily owned by Charles Blount’s cousin, John Woodhouse, before we took it on later that year. Since then, there’s been an extensive programme of renovation. The sails and fanstage and balcony have all been replaced and we’ve opened up the Wheel Room and Bathroom at the very top of the windmill. The views are amazing up there and the room is accessed via a steep ladder. You have to sign a waiver if you want to stay in this room, and needless to say it’s the most popular room of all. If you want to have this room you usually need to book a long time in advance!! 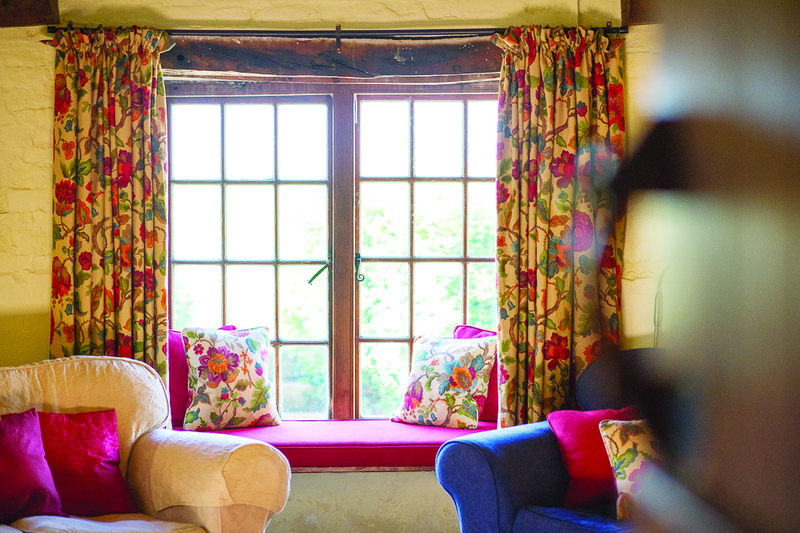 We’ve also renovated all of the rooms and the gardens, as well as converting the Old Cart Shed into a beautiful new suite complete with stunning oak four poster bed. BB – You have owned the mill since 2006. What drew you to this particular property? Well, it was a windmill!!! 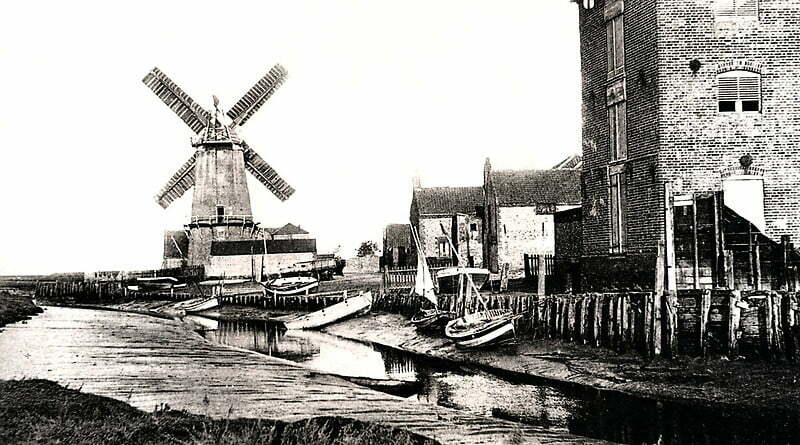 Julian’s parents used to own the windmill up the road, Weybourne Windmill, and he was gutted when they sold it. He loves windmills! So when Cley Windmill came onto the market he moved heaven and earth to make it possible. I was a little less keen at first – after all, a windmill is quite a responsibility – but 12 years down the line I don’t regret a minute of it. It’s a wonderful old building and it deserves the very best in terms of love and care. We’re both hugely proud of it and see ourselves as just the current custodians of this grand old lady of the sea. Julian is a doctor and I’m a retired headmistress, but we have really enjoyed getting stuck in as hospitality owners. It’s completely different! We’ve got 4 children and they’ve all played their part in looking after the place too – each of them has worked here in various capacities – front of house, housekeeping, marketing, reception – you name it, they’ve done it! They love it too. There’s nothing else quite like it! From the moment you drive up and say’ wow!’ it’s just really special. The staff are welcoming, warm and friendly, the rooms are so comfortable with lovely fabrics, gorgeous beds and every home comfort, the views are stunning, the visit up to the gallery is an unforgettable experience (and if you are staying in the Stone Room you get your own private bit of balcony), the sight of the boats navigating their way up and down the river at the bottom of the garden is just gorgeous, the food is scrummy, but most of all, it’s just a great place to relax and unwind. Our guests come back again and again – they often like to try out different rooms. Lots of people choose to get married here (we have a wedding licence and we have around 72 weddings a year) – and then they come back to celebrate their wedding anniversaries. It’s quite a romantic place as you can imagine, so we also get lots of proposals up on the balcony. Houseparties are really popular too. People love to take the place over (we sleep up to 24) and have lots of fun using the mill as their own but escaping all the hard work, thanks to the brilliant staff who keep everywhere looking lovely and provide the delicious breakfasts and dinners. We do lots of big birthdays and cakes are another speciality. We’re also a popular venue for wine tasting evenings and murder mysteries! BB – Tell us about the local area and the various things for guests to see and do. There’s loads to do. I’m not sure where to start. But suffice to say that we have an abundance of National Trust properties, stately homes, fantastic beaches, sailing, cycling, walking, trips out to see the seals on Blakeney Point, many lovely coastal villages to visit, the lovely Georgian market town of Holt – the list goes on and on. 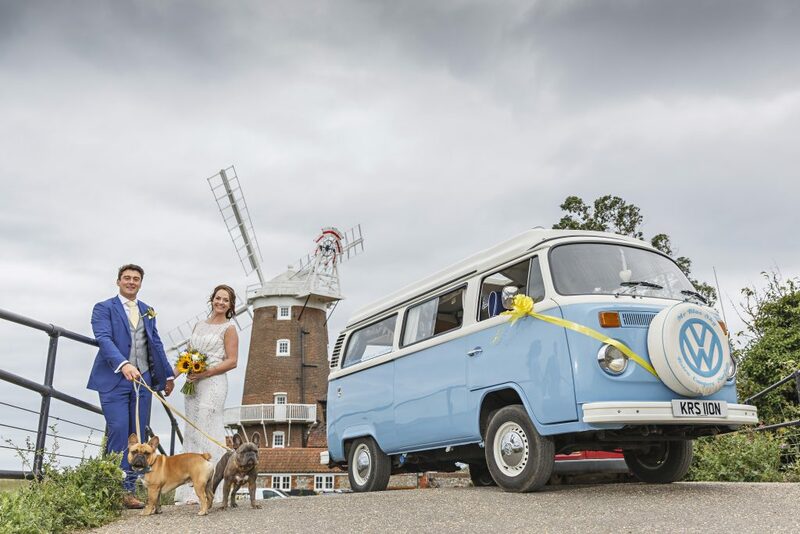 Well, for a start it’s pretty different to be able to say you got married in a windmill! It’s quirky and memorable, small, romantic and lovely. 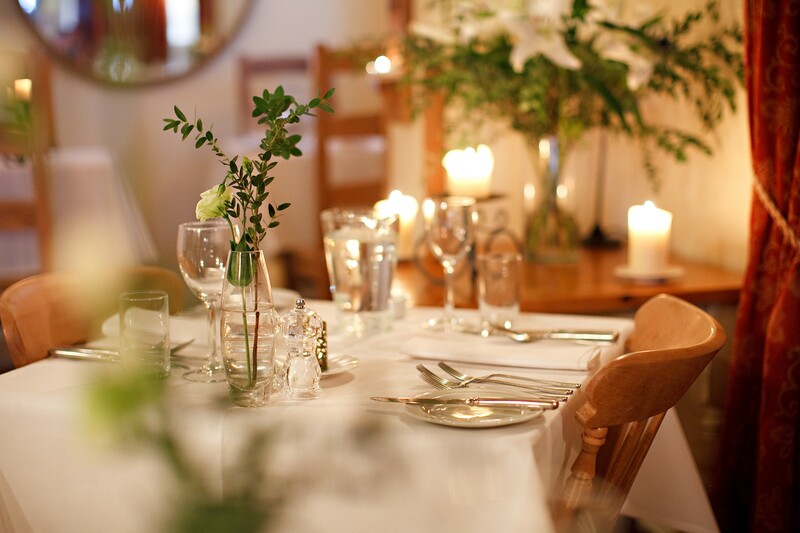 The guests find it very special too as they are so involved in the ceremony given the nature of the room – we have the ceremony in the round beamed sitting room. Or in the summer, lots of couples opt to get married outside on the front lawn in front of the swaying reeds with the sea in the distance. And the photos …….. wow! They really are something special and so different from the norm. Lots of our couples have windmill themed cakes and table decorations. Some like to give their guests windmill towels, or chocolates, you name it….. we provide it! It’s such a lovely setting and always so inviting. The other thing which makes it really special is the fact that lots of couples take over the whole place for one or two nights. It’s wonderful to see the whole event through from beginning to end. They’re completely self-contained here! Well, I can’t take the credit for the great success that Cley Windmill has become. I have a brilliant team here, led by Rebecca and Sarah our managers and we’re one big family. I think that’s really important – the feeling of pulling together with a shared aim – that being the happiness and satisfaction of everyone who comes to stay here, or to dine here. I get a real kick out of seeing the windmill looking ever more beautiful (it’s a difficult building to maintain and hugely expensive but it’s worth it). We put every penny of profit back into the maintenance of the building as it’s such a special place. I love the fact that lots of people can enjoy it – whether to come and stay here, or get married here, or simply come for dinner. It’s lovely to be able to share it with others. 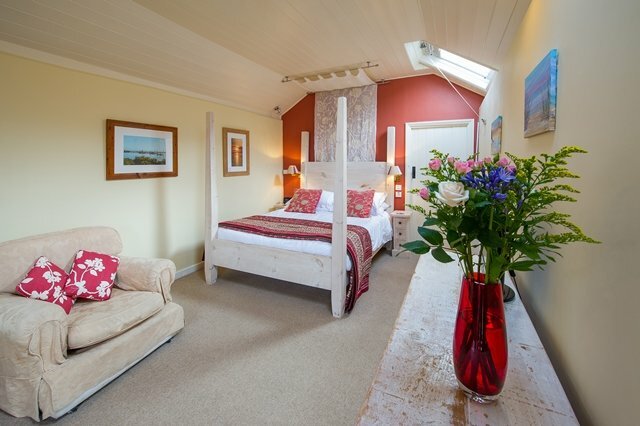 BB – Can you sum up a stay at Cley Windmilll in three words.